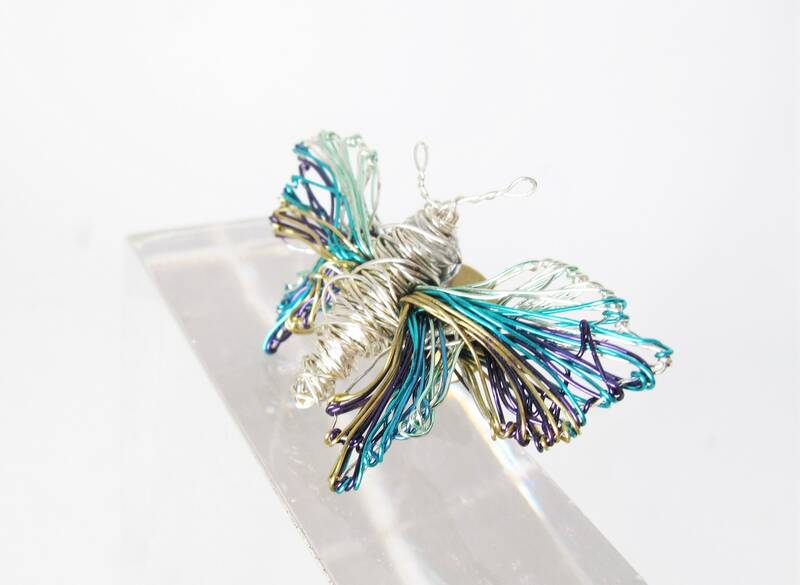 Light blue butterfly brooch pin back handmade of colored copper and silver wire. 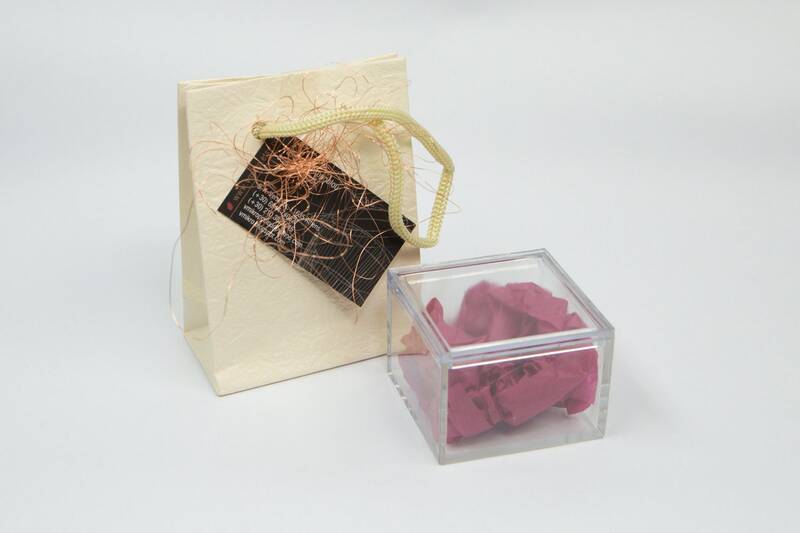 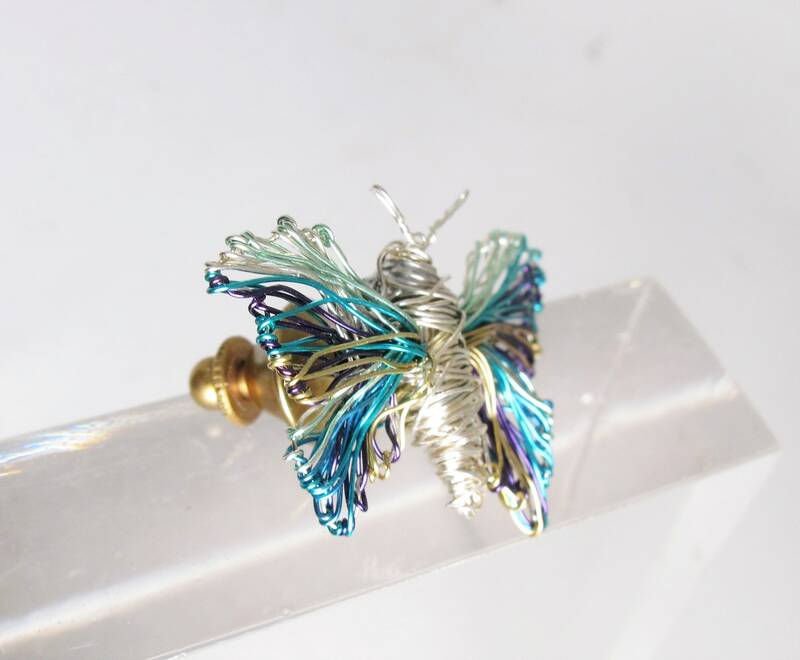 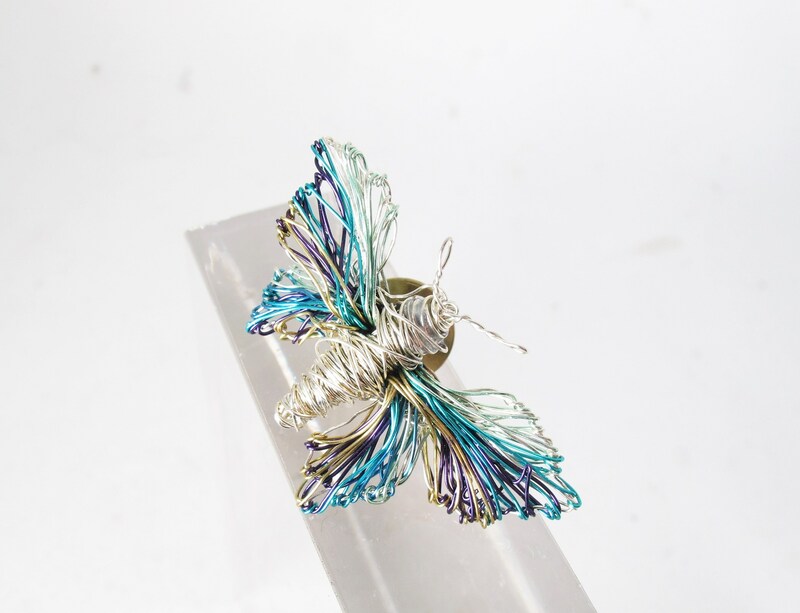 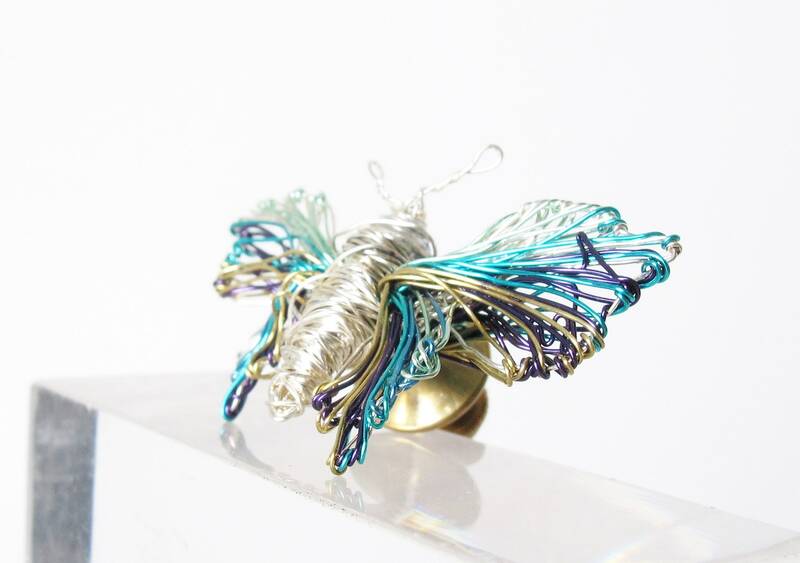 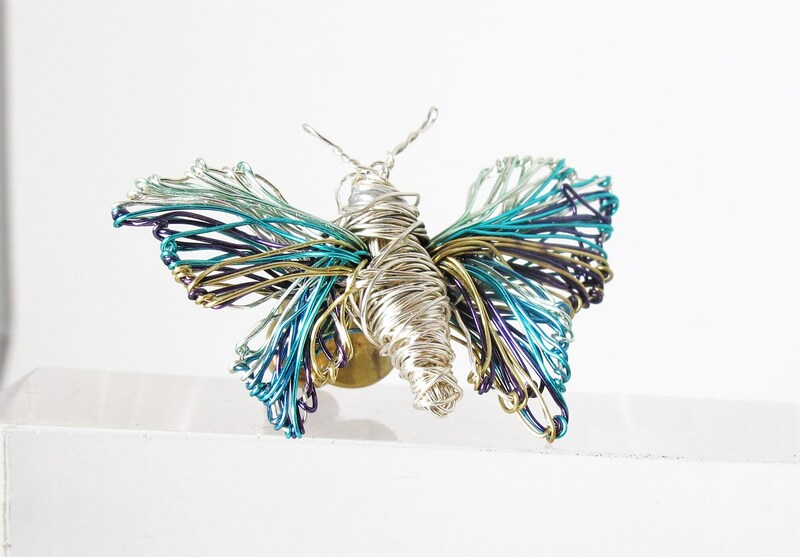 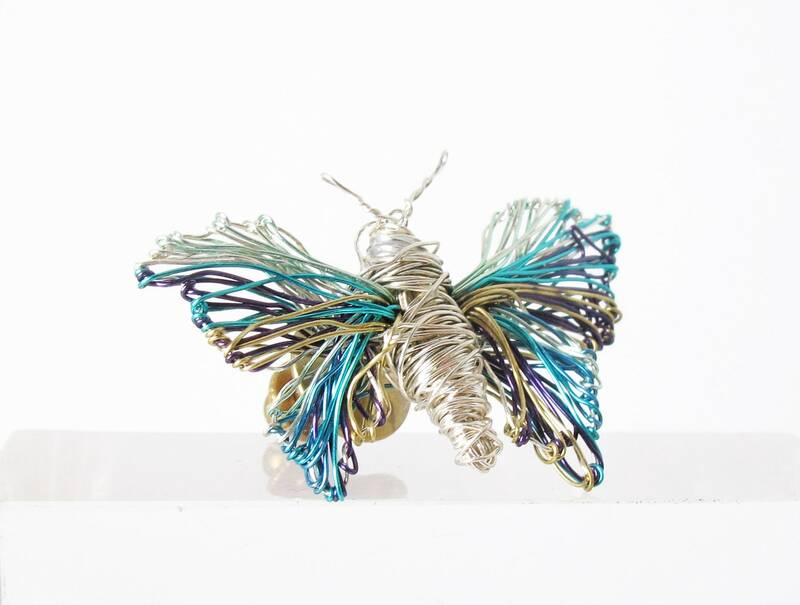 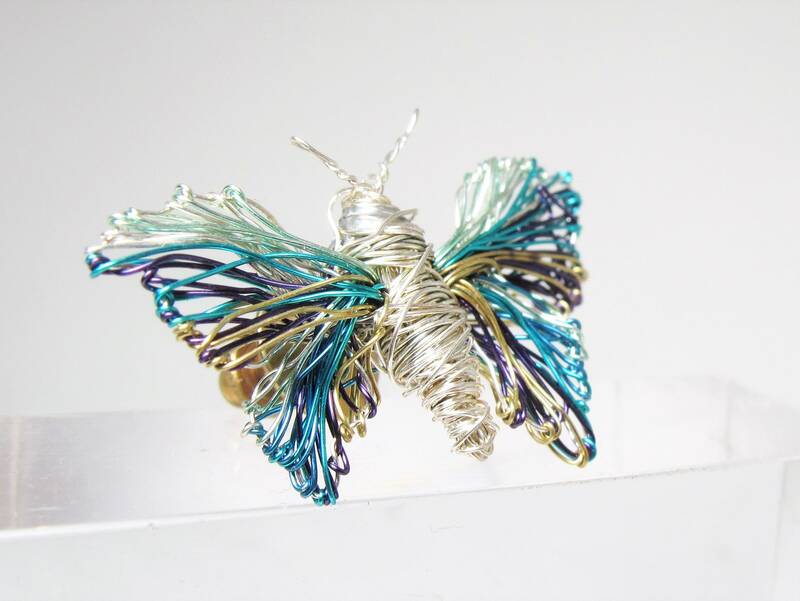 The height of the wire, tiny sculpture art, insect pin, is2cm (0.79in) and the width (body with wings) is 4cm (1.57in). 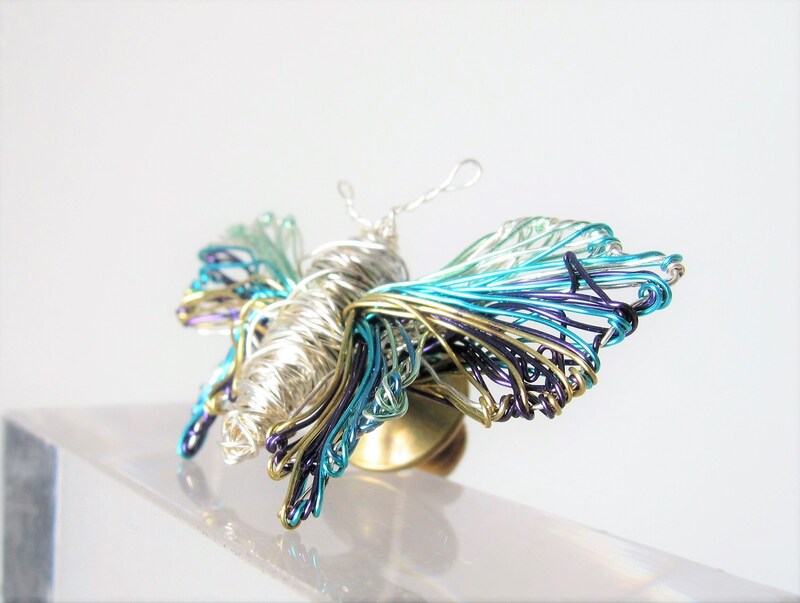 The pin of the grandmother gift is bronze.